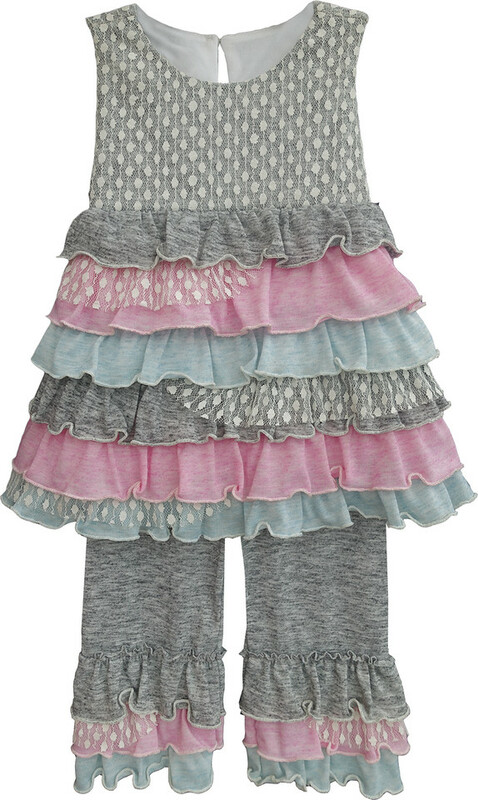 Beautiful heather gray and pink ruffled pant set by Isobella and Chloe. In soft , fine quality cotton and spandex. Machine wash. Imported.